From its opening in November 1962, Fairfield Halls played a significant part in the cultural life of Croydon and beyond. ‘The Fairfield Collection’ exhibition showcases objects, archive material and people’s memories from the Fairfield Halls. 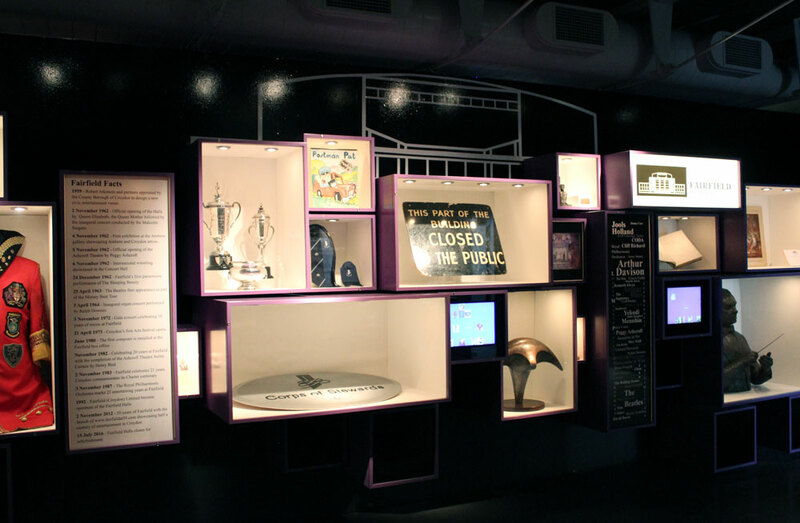 Many of the items on display were removed from the venue prior its closure for refurbishment in July 2016. The oral histories included in the exhibition, capture the memories of audience members, staff, volunteers, performers and the wider community. They were collected as part of FAB Croydon’s HLF funded project, to preserve the history of Fairfield Halls and celebrate the ongoing role it plays in the spirit and identity of Croydon. Highlights of the exhibition include a bust of Sir Arthur Davison, Fairfield’s own Town Crier uniform, an Evening Standard Award given to Dame Peggy Ashcroft and the signature book signed initially by Her Majesty the Queen Mother, followed by many of the performers at the venue.